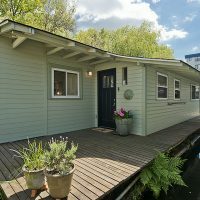 Buying Or Selling Seattle Floating Homes? Peaceful stroll down the dock to your own private piece of Lake Union! 2019 Fairview Ave E #B A fantastic Eastlake floating home ready for your own personal design! We love the generous light and roomy spaces. Hardwoods throughout the main level extending to your back french doors. A super cozy free standing gas fireplace huddles in the corner, one full bath and a bedroom on the main plus lofty space/bedroom upstairs. Folks this one has a tremendous amount of storage. Two fantastic decks to welcome the southern exposure on a wonderful Co-Op dock. Never miss a sunrise or sunset again. Space Needle Views and a roof top deck. 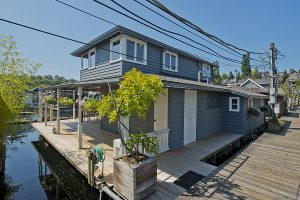 2025 Fairview Ave E #Q Come aboard a very special Eastlake floating home to enjoy a slice of nature and art. Light, bright and a beautiful kitchen with ample storage. A cleverly designed built in kitchen table to maximize space. Two bay windows to relax and day dream in the living room. Master en suite on upper level with your private balcony to soak up the west facing sun. A few more steps up to enjoy the amazing roof top views. Moor your boat or water toys. Wonderful neighbors & great co-op dock! We look forward to seeing you in Eastlake on Sunday! Seattle Houseboats Open House Today! Looking for Seattle houseboats living? The Log Foundation’s Seattle floating home at 2025 Fairview Ave E #Q, thoughtfully designed by local architect, this waterfront living dream has huge upwards investment potential. 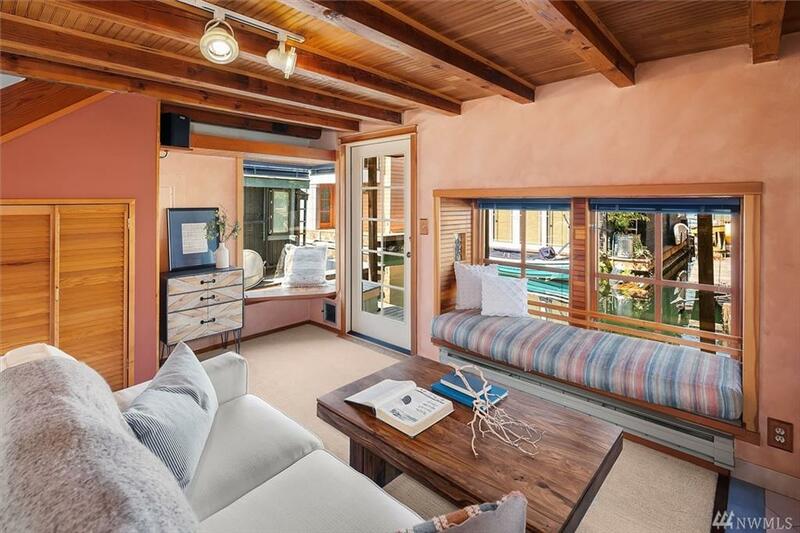 Come aboard this very special Eastlake floating home to enjoy a slice of nature and art. Light, bright and a beautiful upscale kitchen with more than ample storage. A cleverly designed built in kitchen table to maximize space. Two bay windows to relax and day dream in the living room. Master en suite on upper level with flexible room for office or upper den. My favorite part of this is the wide open channel views out of the bedroom corner. Call or text us to see it as it won’t last long at this price. Want to look at a property that actually pencils out as an investment? Let us know and we will show you how the numbers work on this one and others. The last two days have been spent well out of my comfort zone being interviewed and filmed by a crew from CNN. Anyone who knows me knows how very out of character that is for me. Molly and I say no to every filming request that we get from shows like Househunters, Tiny Houses, etc. We greatly respect the privacy of the Seattle Houseboats community and want to protect this coveted lifestyle. I was happy to step out of my personal norm and do this because I wanted to show off our floating homes community and our beautiful city on a grander scale. We are fresh off of the 2018 Seattle Floating Homes tour and I have an ever growing love for this historic neighborhood in which I call home. When I got the call to talk about Seattle floating homes by an extremely respected network, I agreed. We planned a modest boat ride around the lake so that I could show off the various floating home communities that make up our overall houseboats neighborhood. As luck would have it, my Duffy electric boat decided to be moody the day before they were set to visit, so I called upon one of my personal heroes Steve Brown whom I work with at Keller Williams North Seattle. He didn’t hesitate to come to my rescue and his beautiful boat is so much better!!! Steve dropped his entire day and toured the film crew around in style around the lake while I was interviewed on the bow of his boat like I was cruising the riviera. 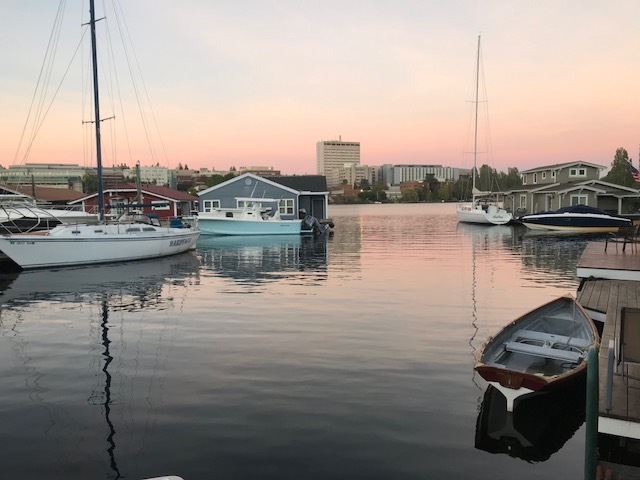 As I was interviewed about the various aspects of our community and what it was like to live on a floating home, I was reminded of why I live on one. It’s all about the water for me. I love the reflections of it on my ceiling and the sound of it as the waves come in and are dispersed gently over the logs that make up my float pack. I love the rain pouring on the roof and lake around me. It was fun to see how excited the camera crew got about the littlest things around our homes. The gardens on the docks and other creative artwork here and there added such vibrancy to the story they were trying to tell. Such an outstanding community of neighbors that care about each other and all share the common bond of loving the water. As newer folks move in and others move off the dock, the character and mood changes at times, but overall the spirit stays the same. I was asked a lot about gentrification of the neighborhood and how that had affected the docks, but it all keeps going back to the common bond that we all share – old or young, rich or poor. We all love the water. It was such a pleasure to show off our incredible neighborhood! I got to tour them through our listings, too! Could not have done it without the support of Molly Cartwright and Steve Brown. Thank you! School is officially in session today so I am calling this the end of summer Seattle floating homes market report. A lot has happened this summer, but the market overall had a very slow start. I think I had mentioned this several times in previous articles I have written. It seems like anything under about $800-900,000 sells somewhat quickly and anything up to $2.5 million is not selling as fast. Then there is a micro market for floating homes in the $3 million dollar range that are selling quicker than expected. 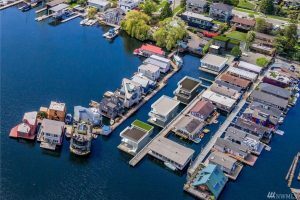 There isn’t a lot of rhyme or reason to who will be in the buyer pool for a floating home at any given time so making sure that you are staying on top of the market is the best course of action. 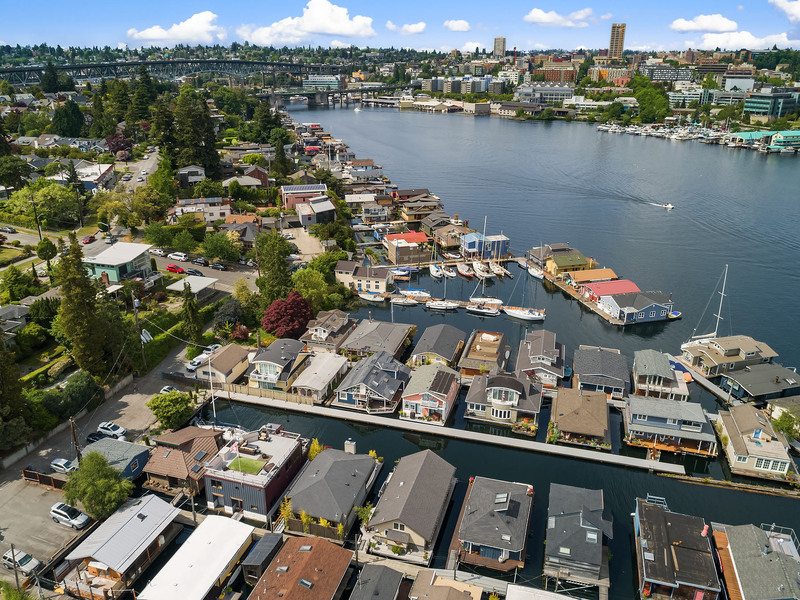 There are a lot of things that have been changing in the Seattle houseboats world overall, so just keep asking questions if you are wondering where you stand compared to the market. For Molly and me, we have been most successful by keeping an open dialog about what is happening in the market – whether good or bad pricing wise. Our efforts have been on marketing, getting the word out, education regarding our community, and also just keep sellers on course with pricing. What else is going on? How about the tour? It’s in Eastlake this year! Tickets are just about sold out for the 2018 Seattle Floating Homes Tour so grab them quickly while you can – it is THIS SUNDAY! 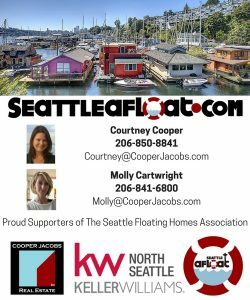 2018 Seattle Floating Homes Tour: Tickets On Sale! 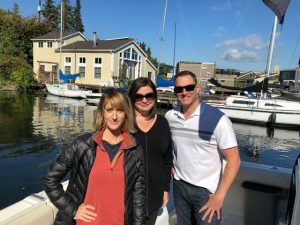 The 2018 Seattle Floating Homes Tour! Tickets just went on sale for this year’s tour! Sunday, September 9th, 2018 Noon to 5 p.m.
At Seattle Afloat, Molly and I are so proud to be supporters of the 2018 Seattle Floating Homes Tour! Each tour, we work extremely hard and we volunteer our time and sponsor the tour with our money. 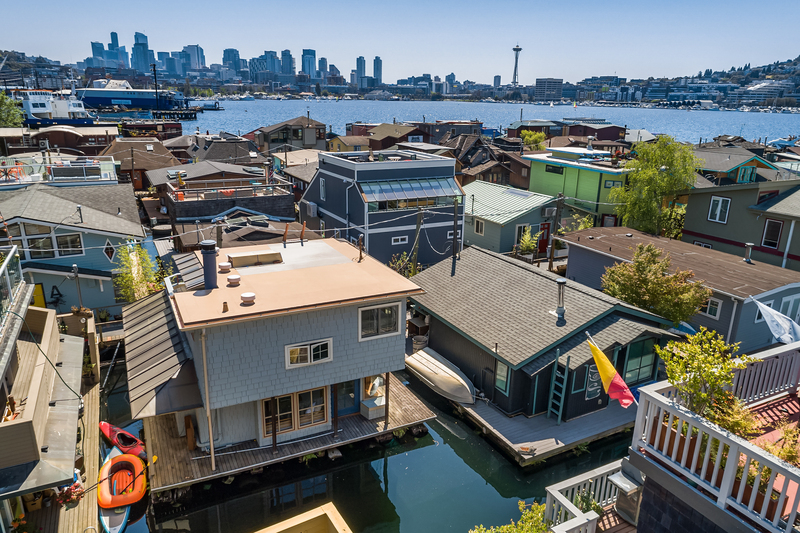 We love the Seattle floating homes community and this year’s 2018 Seattle floating homes tour is worth the price of admission ten fold! 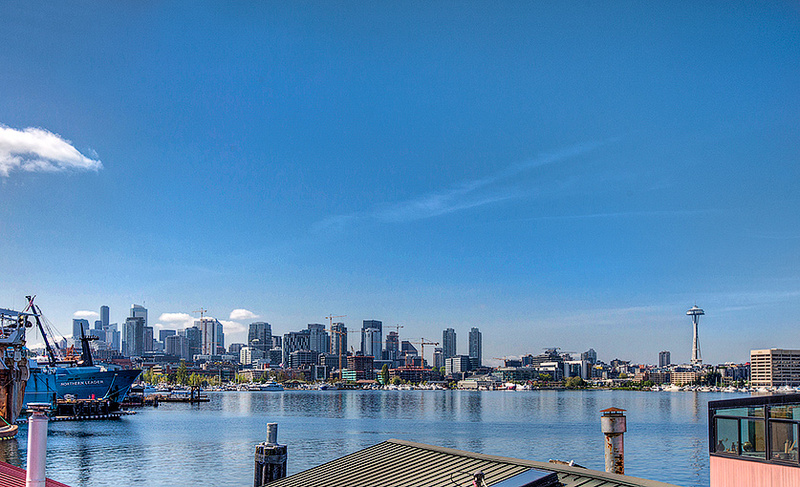 Want to have a peek into this amazing lifestyle and dream about living on Lake Union afloat? Here is the description of this year’s exciting tour! We have seen the tour houses personally and you won’t be disappointed! 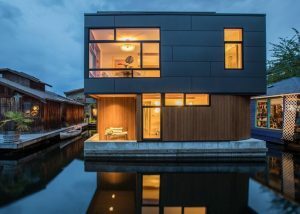 Don’t delay, the tickets for the 2018 Seattle Floating Homes Tour sell out fast! The Seattle Floating Homes Association is pleased to present the Eclectic Eastlake 2018 Floating Homes tour! On Sunday September 9, from noon until 5, a dozen specially selected homes will be available for viewing from 2017 Fairview up to Mallard Cove at 2600 Fairview. 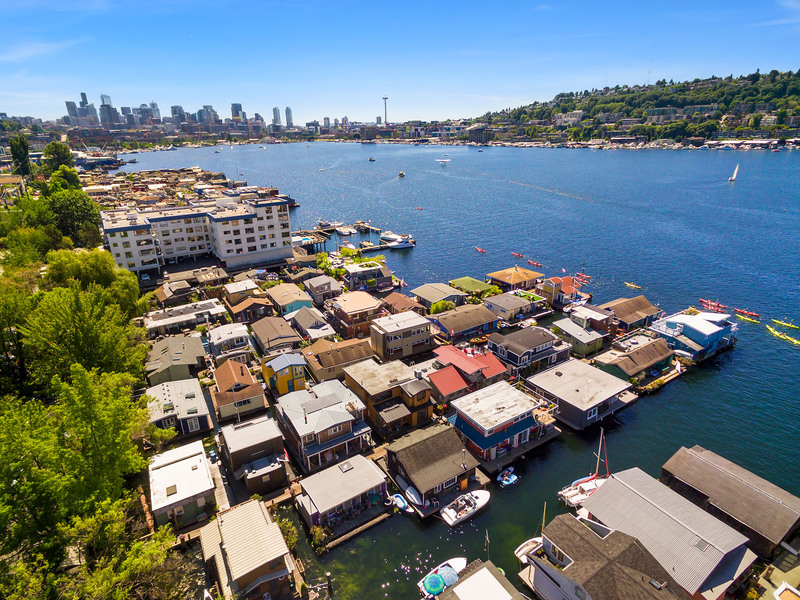 You will come away with an appreciation of why Seattle’s floating home owners cherish their lifestyle and why they have become known as the Stewards of the Lake for nurturing the nature and animal habitats the docks, homes and surrounding foliage provide. Nowhere else in the world will you find the coexistence of wildlife and city life blending so harmoniously. We look forward to having you as our guest! Proceeds from the 2018 Seattle Floating Homes Tour will benefit the Seattle Floating Homes Association and its mission to protect, preserve and promote the vitality of Seattles historic floating homes community through education, advocacy, environmental stewardship and collaboration. Parking is available in the lots south of E Newton on Fairview Ave E, at the Blue Ribbon Cooking School to the north and on side streets throughout the neighborhood. Food, coffee and dessert trucks will be on hand for purchase of refreshments, and a bus will be circulating throughout the afternoon at several spots along the route. This is a self-guided WALKING tour with stairs, uneven pavement and over-water dock surfaces; please plan accordingly. No backpacks, strollers, food or drinks are allowed in the homes. The tour will take place rain or shine, and everyone who wants to participate in the tour will need a ticket, except babes in arms. 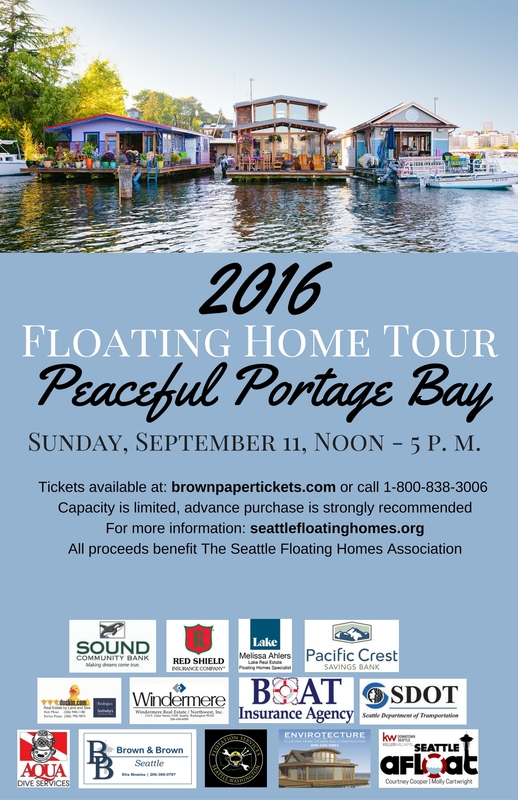 2018 Seattle Floating Homes Tour Ticket Information : Tour tickets are available at Brown Paper Tickets. Ticket price is $55. Capacity is limited so advance purchase is highly recommended. Ticket Brochures will be mailed 1-2 weeks prior to the tour to Washington addresses only. Any out of state addresses can pick up their brochures at Will Call, at the ticket tent in the parking lot across the street from 2025 Fairview Ave. E. (between E. Boston and E. Newton), on the day of the tour beginning at 11:00am. Once you have this brochure you can start the tour at any location you chose. 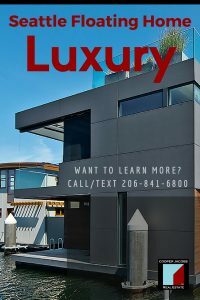 We specialize in Seattle's waterfront lifestyles including Seattle Floating Homes, Houseboats & Barges, Slips, and Seattle Waterfront Homes. 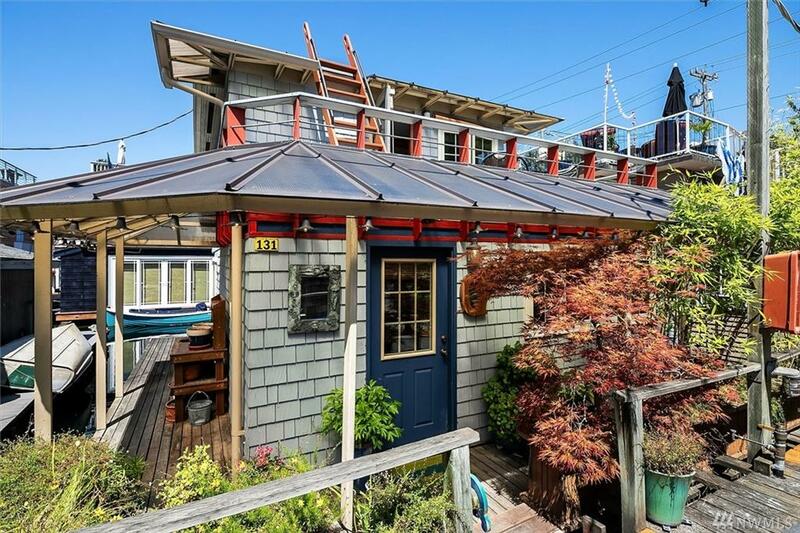 Want to see ALL Seattle Waterfront Properties & Floating Homes For Sale right now? 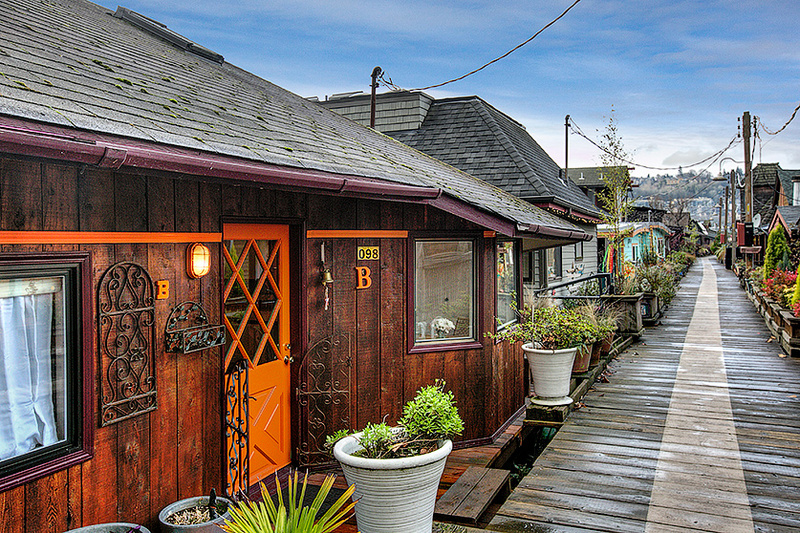 Seattle Floating Home $699,000 Just Listed In Westlake! 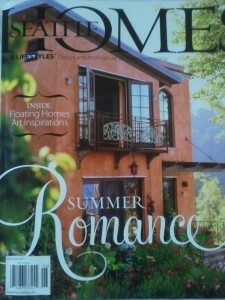 Seattle Houseboats Floating Home Market Is Heating Up In July! Happy 4th Of July Seattle! 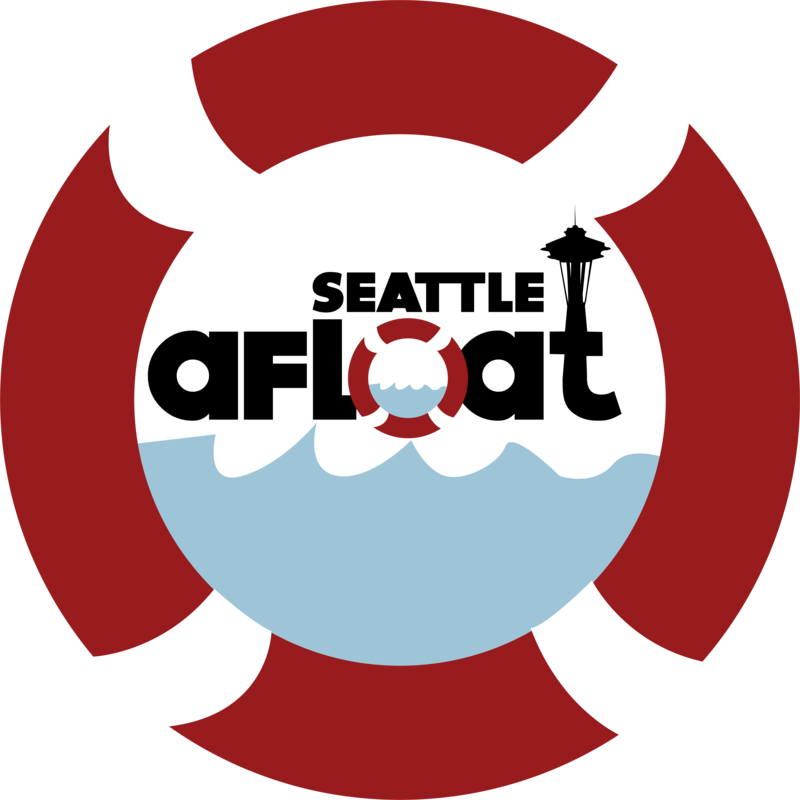 Seattle Houseboats Inventory Afloat! What’s Happening Here? End Of The Dock In Lake Union! 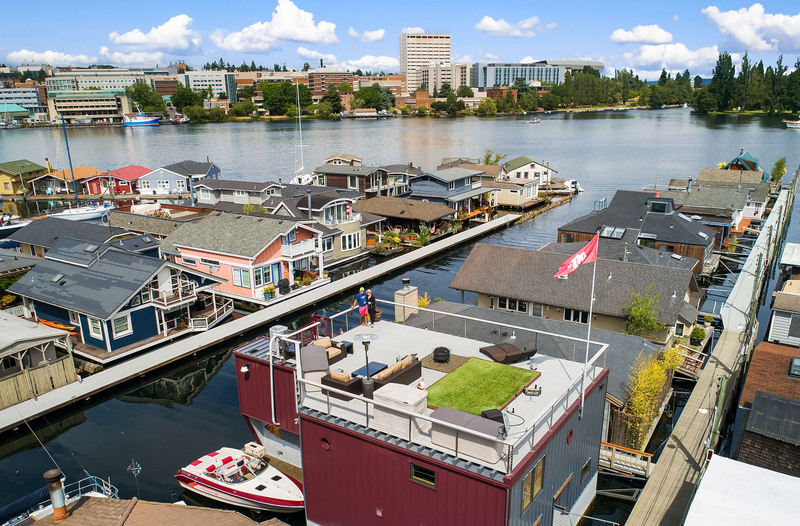 Last Seattle Floating Home Slip available at Stillwater Landing! 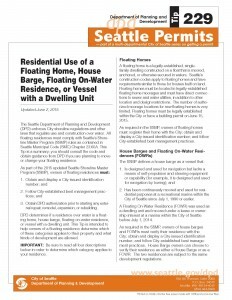 No Seattle Floating Homes Inventory! Seattle Floating Homes As A High Rise Alternative? Click cover to read more from this Seattle Homes & Lifestyles Magazine featuring Cooper Jacobs Real Estate and Seattle Houseboat Realtor Courtney Cooper. Our SOLD listing on the Today Show! Cooper Jacobs Real Estate Group is proudly part of Keller Williams North Seattle. We are available to talk now.